Wow, what time is it? I have no idea. It's like I live in a sensory deprivation tank these days. They say when the wind blows right in that part of Brooklyn you can catch the ghostly stench of his sweaty tweed. I bet that thing eats cobbles like they're Tic Tacs. Cobbles. February has come and nearly gone, and yet no word on Omloop Het Nieuwsblad. Lol. I didn’t think about it until just now. Funny, but everybody yes my marin pine mountain with its 3 inch tyres, is a fat bike. Virtue Signaling: rode hard pack Florida sand road with regular tires on 26 inch wheels. (42lbs front, 48 rear). wowzers. riding my wheel at the brakeneck speeds on teh cobblingstones. still can't podium. Yeah, but they're oh so handy during nesting season . 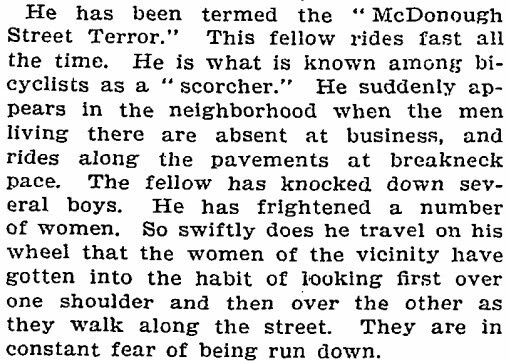 Unfortunately, unlike the terrorizing bi-kecyclist I shall never be known as a "scorcher". every good boy deserves a fatbike. Island Tramway? Bring the Brommie, easier to get over the turnstiles. It's like another world out there on the East River. Damn the heights, fold your bike and hop on board dude, it's a new bike experience right in your neighborhood. I had to drive from New Jersey of all god-forsaken places,it w. as worth it. Multi modal transportation at its best. Next, the funicular! I thought an urban fat tired bike is one that is propelled by an engine. Now that I read the outside I am shocked to learn that self love during a funeral is taboo. Would it be ok if the pud puller wears a helment? All fat bikes are equipped with grip shift right? Cause that’d be the only way they’d be cool. It's got a fat saddle too. It'll be a moment when someone high up from DOT allows a photograph on a bike, no helmet. 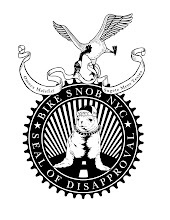 JSK always seemed to wear one, but with Citibike, the taboo might be breaking down. Or has this already happened? not much to be shocked about "petite mort". I enjoy openly masturbating at funerals while smoking illegal herbs while holding an infant in my lap. Why is everyone so judgmental? Oh boy, this one is going to elicit some real hate on the Facebook page. Get ready for the avalanche of ill will to be unleashed upon you. Better than that, the urban fat-e-bike age has dawned here in Vancouver. Makes sense. Because the drag of soft, monster-truck tires make pedaling an e-bike such a chore on our urban streets, they need to be electrified. It is the same sort of logic that means because my single-passenger pick-up is the size and mass of a Parisian apartment, I need at least a 6.7 litre turbo-diesel under the hood to transport by 75kg body at any sort of reasonable cyclist-squishing pace. This Outside piece demonstrates that your Lifetime Achievement Award was well-deserved. I'll be passing this along to every helmet-shamer I come across from now on. Please don't take this as license to die on us though. Also, thanks for teaching me about "excoriate" and controlling my necrophilia in public. Bicyclists operating according to the rules of the road for drivers of vehicles, aka “vehicular cycling” for some “bicycle driving” for others and now even “Savvy Cycling” nowadays is not “pretending” to be a driver, it’s actualy being a driver. Most people will have to practice elements of it at some time or another if they want to go anywhere. 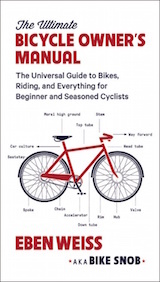 Most of your writings are spot on but why do you keep misrepresenting rules of the road bicycling behavior? good article on the helmet. You should always smoke before writing. Also, masturbation is a very effective tool for dealing with grief so don't be so judgmental. It also if effective in dealing with anger, stress, depression, anxiety, insomnia, boredom, hangovers, etc. Never take a knife to a helmet fight. Remember back to MTB 1.0 (80s-90s), when people pointed out with ridicule how these trail bikes were more over cities than trails? But now basically the great American cargo bike (Big Fat Dummy, Yuba, Xtracycle) are out growths (literally) of those early rack fitted rigid fork Stumpjumpers and similar. 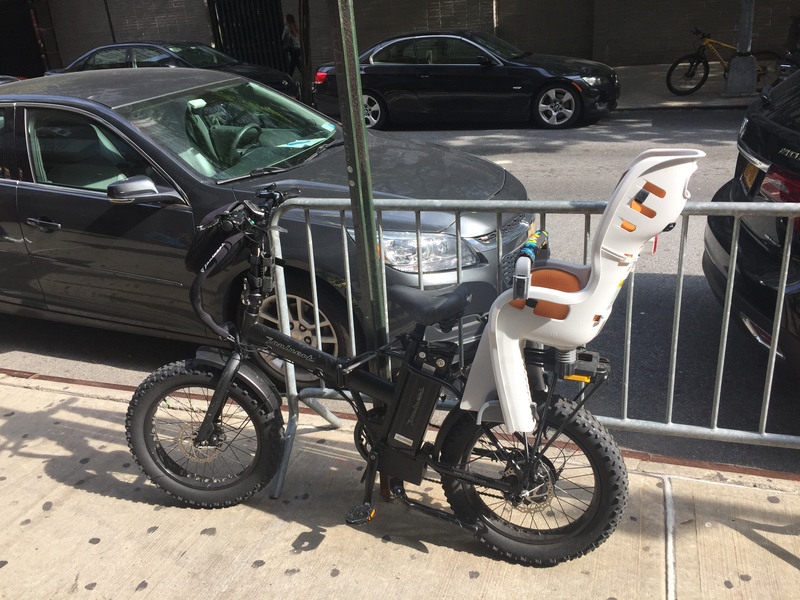 I've always been suspicious of a "city bike" that doesn't do curbs or is so dainty as to need lifting for short staircase descents (or ascents). I don't wear a helmet on my daily commute to work here in NYC, but I am very, very careful. so far so good! Hee hee, classic how there is nothing but affirmation for your "quit helmet shaming" position, but an objection to your totally mild (not to say "generous") gloss of VC. Isn't this what happened last time?!? And if memory doesn't fail, a passionate arguement defending something that isn't even said in the supposedly offensive text is also par for the course... Ah well, the idea is to write predictably, yeah? A Woman Killed by the Carelessness of a Wheeling Pest. Chicago, July 15.-A scorcher is responsible for the death of Mrs. M. A. Morton, who was instantly killed in a runaway last night. The scorcher, with elevated back and bent head, while bowling along at a rapid rate, collided with the horse driven by Mrs. Morton. The frightened animal became uncontrollable and dashed down the street, colliding with a lamp post and throwing the unfortunate woman from the vehicle. She was instantly killed. 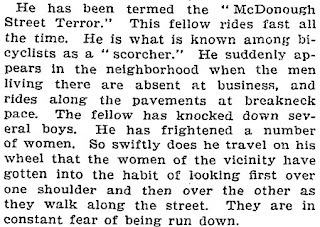 The scorcher was thrown from his wheel, but remounted and rode away before he could be apprehended. 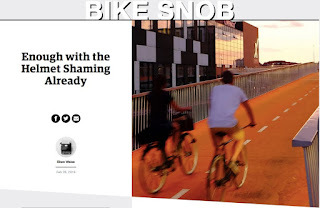 What I find interesting about your bicycle advocacy is that you go in-depth into fundamentals, identifying the two sides and how one side has more sway in our current culture than the other. I can almost take the weighted structure of your blog, change words like Fred and Scranus into words reagent to the subject like how people of color strive in an anglo-centric society or describe the LGTBQ in a hetero world. I've always thought our paved streets made for an interesting metaphor for how this country functions and reading you're material brings to light much needed infrastructure questions. It's funny. 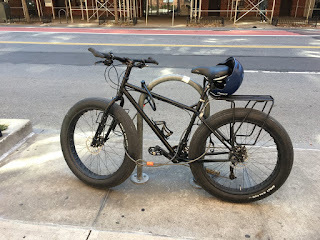 I commute on a 20 inch euromini folder in NYC and only wear my helmet in slippery conditions, yet upstate on my Specialized RB and on often empty roads on the most awesome Mohawk Hudson bike trail I always ride with a helmet unless I'm riding my GF's son's Giant mountain bike... weird,right? Has anyone ever said anything to you while riding helmetless? After seeing 'the full Cipo', I immediately thought, "Why are we still using those big noisy rockets to put satellites in orbit? Just hire this guy to give 'em a kick." 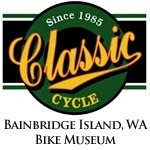 And if the UCI gets into this virtual stuff, I'm sure they'll still outlaw recumbents.